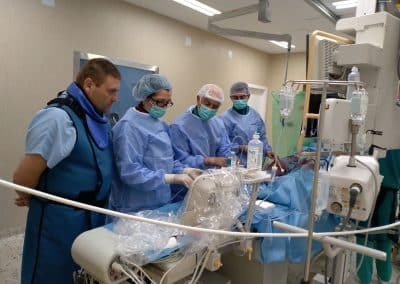 A Bulgarian team of specialists together with the Italian cardiologist doctor Eustaquio Onorato performed a bloodless surgery and rescued a 51 years old man, ensuring him a full value life. The patient had a serious heart attack, the complications of which had caused occurrence of a ventricular septal defect – VSD. The physicians placed a device that supports the regular blood circulation and thus eliminated the problem. This is the first surgery of this kind as the implant is introduced only in case of a lot of previous manipulations – placing bypass capacitator, mechanical valve, left ventricle plastic and interventricular septum. 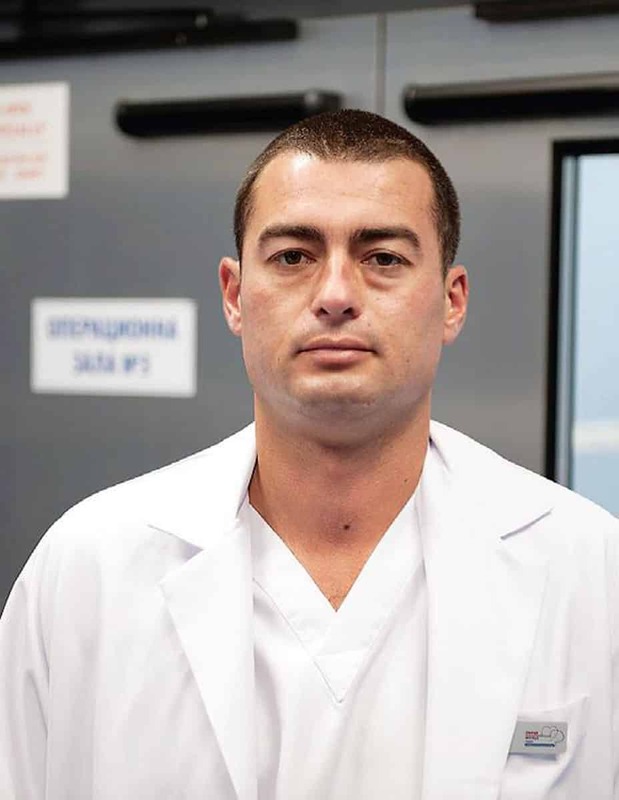 The device had been tailored for the patient by Occlutech and delivered by the Bulgarian company Bulmar ML, representing as distributor leading European manufacturers of equipment, supplies and devices in the fields of cardiology, transfusion hematology and immunohematological diagnostics. 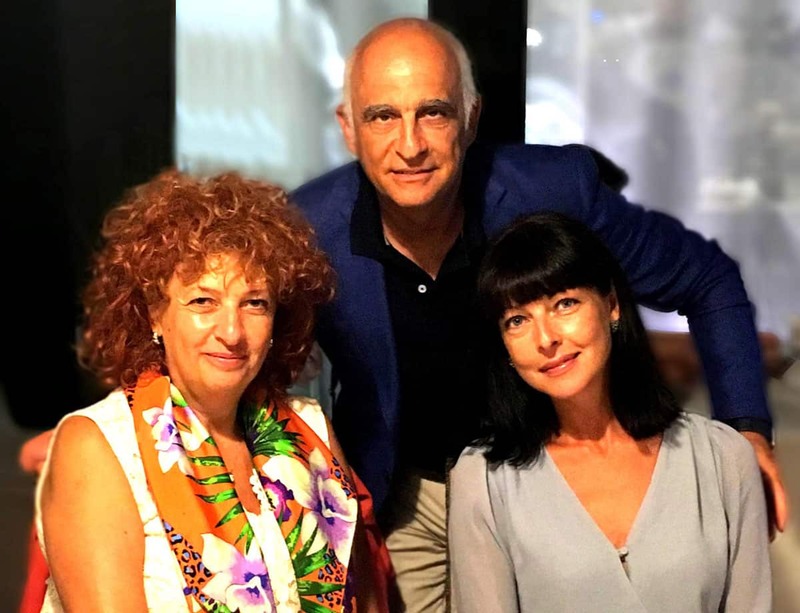 For more than 15 years Bulmar ML maintains good collaboration with physicians and institutions, devoted to provide Bulgarian patients the best options. Clients of the company are all the university and large municipal hospitals, Military Academy, Ministry of Health, National Center for Transfusion Hematology. 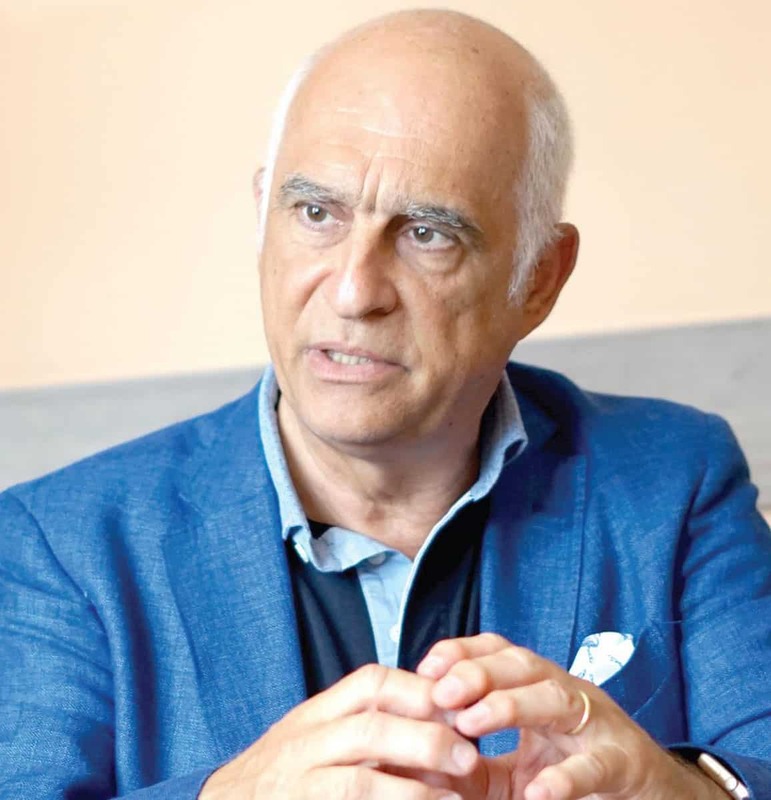 At the invitation of the Society of Cardiology doctor Onorato will attend the XVI National Congress of Cardiology which will take place from 4th to 7th October. He will present there this surgery and the attained results. 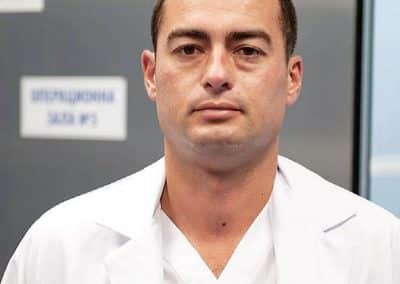 Doctor Onorato, you are in Bulgaria because you helped for performance of an unique for the country surgery. Please, tell us something about it. 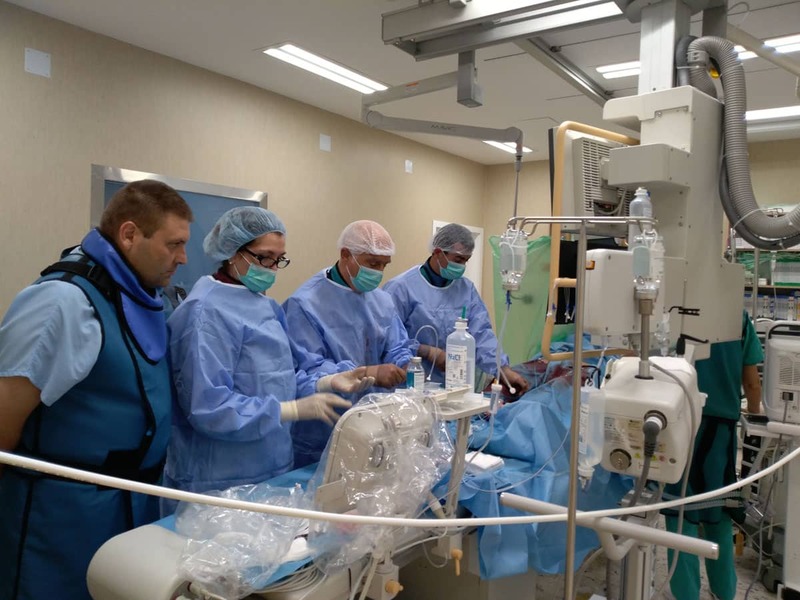 – We have operated a 51 years old patient who had suffered an extremely serious heart attack. It had led to tearing of the walls of the both ventricles. This condition is related to a rather high risk of death not only for this patient but in general because allows the blood from the two ventricles to be mixed, but this shall not happen. 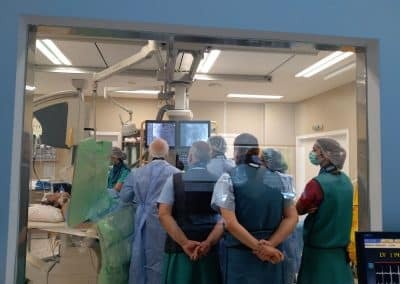 For this reason the colleagues in Heart and Brain Multirofile hospital for active treatment in Pleven, where the surgery took place, decided initially to make an open surgery and close the defect by the means of the so called pericardial patch. They had replaced with artificial also the mitral valve that had also been affected by the heart attack and had placed a bypass capacitator. The complication had been caused when one of the threads of the patch had torn the tissue and an opening between the two ventricles had reoccurred. In such a case the risk of second open operation is very high for the patient. In 9 of 10 cases patients die still in the operation room. – What is this device? – The device is exclusively small; umbrella shaped and opens when gets to the rupture. It is introduced through the large blood vessels – veins and arteries. 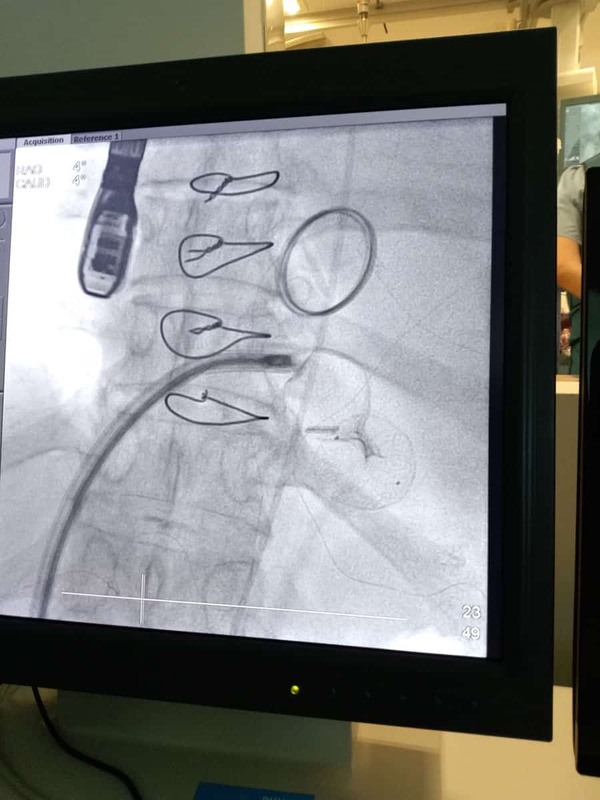 What is most special of the device in this case is that it had been tailored for the patient according to his needs and condition. This is not serial production and thus subject of certification. 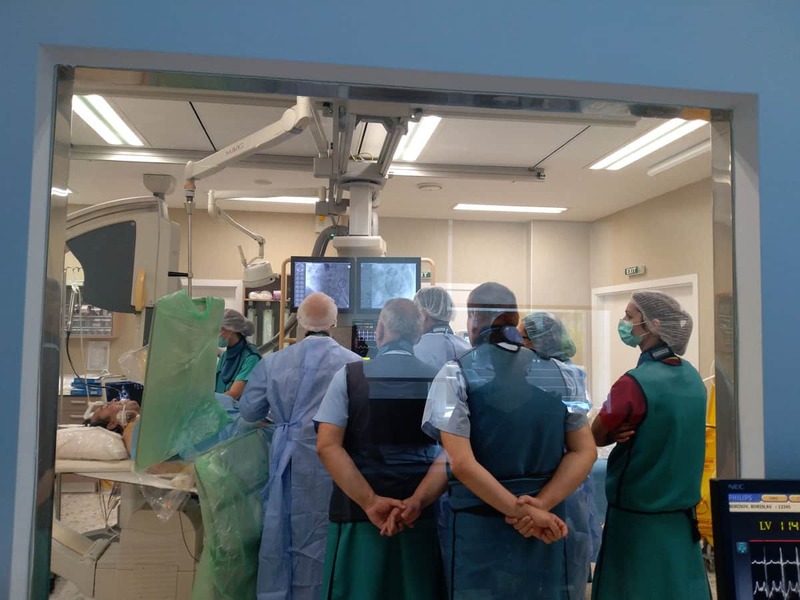 Bulmar as distributor Occlutech for Bulgaria succeeded to deliver it and allowed us perform this first for Bulgaria surgery. The good in this case is the patch placed previously repairing the rupture and tearing. This prevented occurrence of necrotic tissue, which is usually the case when there is a similar rupture of the ventricles and if there is a chance the device to be rejected and of complications is rather high. After implantation the patient forthwith felt better and his vital indicators bettered. We cured the reason for the heart deficiency. – How long is the procedure and the restoration afterwards? The procedure takes about one hour and a half and if there are no complications, in about one week the patients are discharged. – In what cases is this method working best? 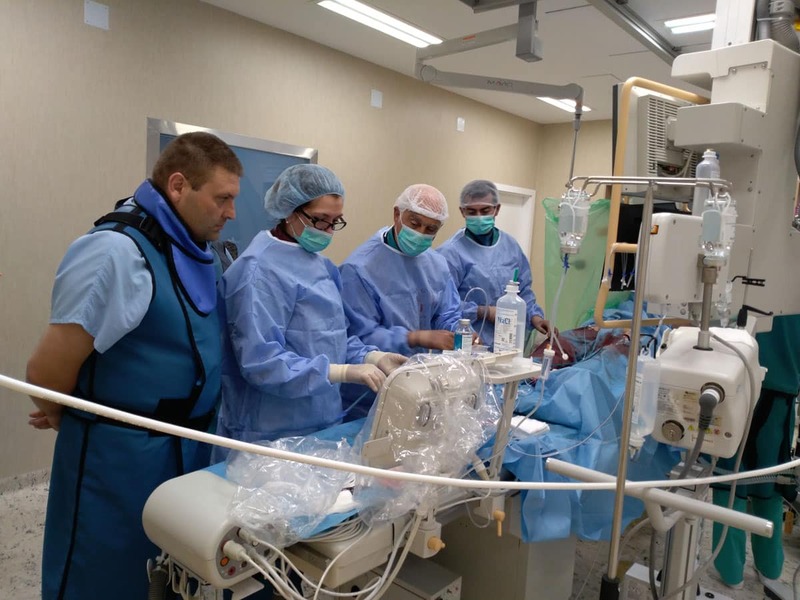 – This is not a routine surgery but usually implemented with patients when there is a high operating risk and in case of complications after heart attack. In most of the European countries there is established a good network of centres ensuring cares for people after heart attack so the complications are rare due to the readiness just in minutes after the heart attack the blocked blood vessel to be re-channelized. In Italy patients with complications are only 5% of all people suffered from heart attack but their condition is really hard. Another group of patients to whom this mini invasive technique is beneficial are patients with right ventricular hypertrophy (right ventricle and right auricle). They often remain in the waiting list for heart transplantation. Occlutech have designed an innovative device that will transform completely the well-being of these patients that will be released soon. For this reason it is important Bulgarian physicians to have access to the new technologies and companies as Bulmar to be able to deliver the devices needed. There is no need the patients to leave their country. Your physicians are good enough. 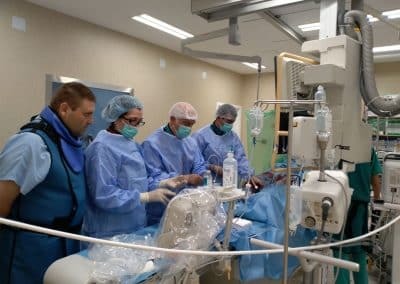 During the intervention in Pleven the performance of the whole team was perfect but this is one of the hardest procedures in cardiology. – Doctor Uzov, what was the condition of the patient when he was hospitalized? 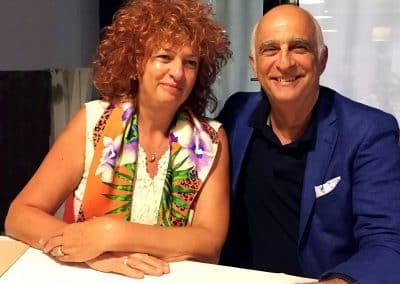 – The man was in hard condition after heart attack suffered a week before. The complications occurred had been mitral valve disorders (resulting in one-direction blood circulation from lung to the left ventricle), aneurysm (partial wall extension) of the left ventricle and interventricular septum rupture. The patient had serious heart deficiency and was not able to move. The first intervention we made was rather hard. We placed bypass capacitators aimed to improve the feeding of the cardiac muscle and better the cardiac function, we replaced the mitral valve with a mechanical prosthesis, and made plastic of the extended part of the ventricle and stitched the rupture of the cardiac interventricular septum. 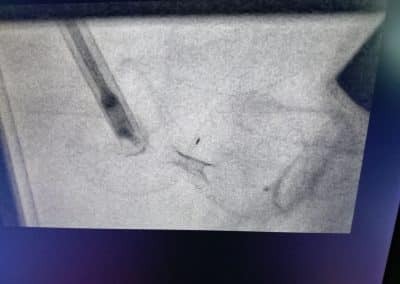 After the surgery it was established a residual interventricular septum defect but we succeeded to stabilize the patient as to be able to service independently. However, when efforts were needed he had symptoms of heart failure. There were two options for him: to remain almost disabled or the residual interventricular septum defect to be eliminated. 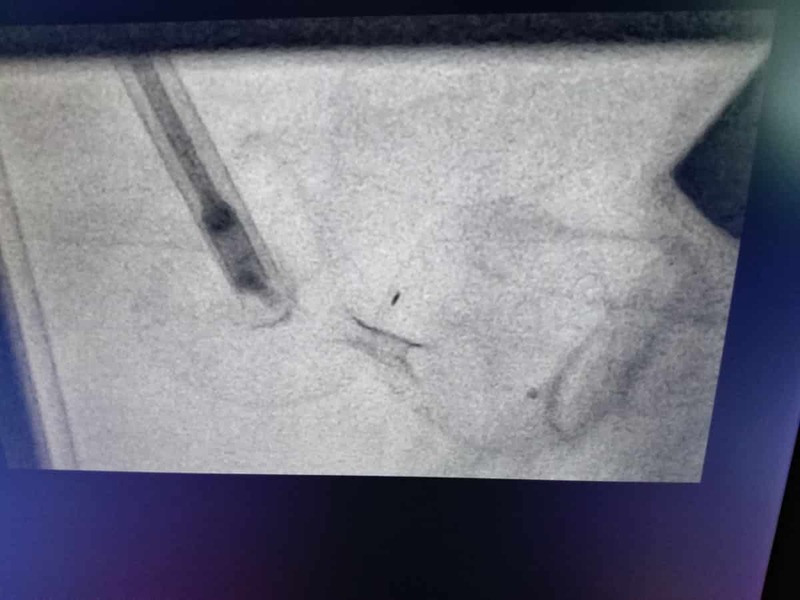 Thus we made a consulting team of specialists and decided to implant a device to eliminate the problem. We ordered a Swiss company to manufacture it and the Bulgarian company Bulmar to deliver it. – What is specific for this surgery? 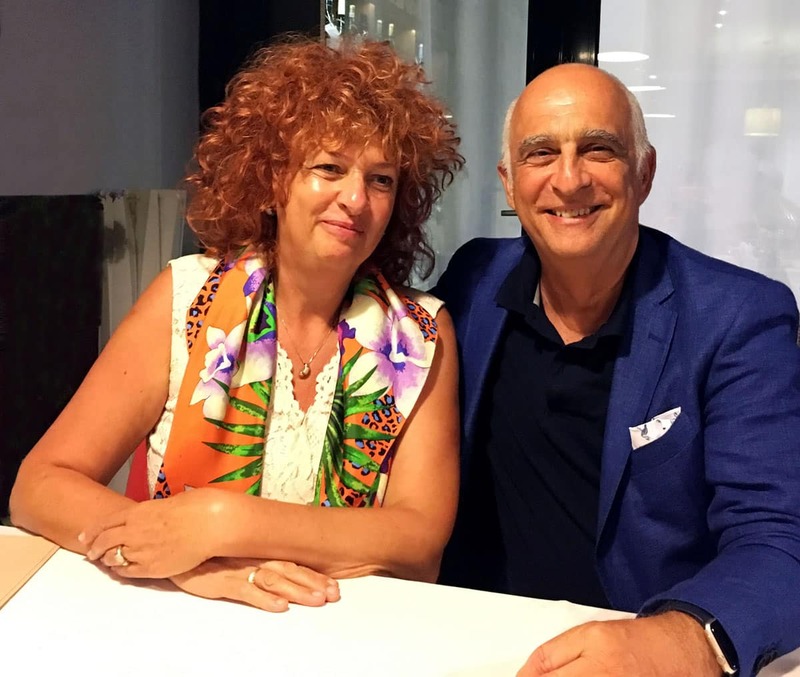 – We proposed to the patient one at least experimental treatment after replaced mitral valve. We introduced a transcatheter device – umbrella shaped that regulates the right blood circulation. The unique here on the one part I that the product was tailored for the patient and his needs. 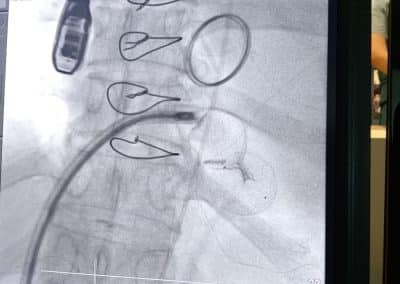 On the other part this was the first patient implanted similar device after so many previous manipulations – placing bypass capacitatpr, mitral valve, left ventricle plastic and interventricular septum. – Is there need the device to be replaced after some period? – How long took the restoration period and how does the patient feel now?